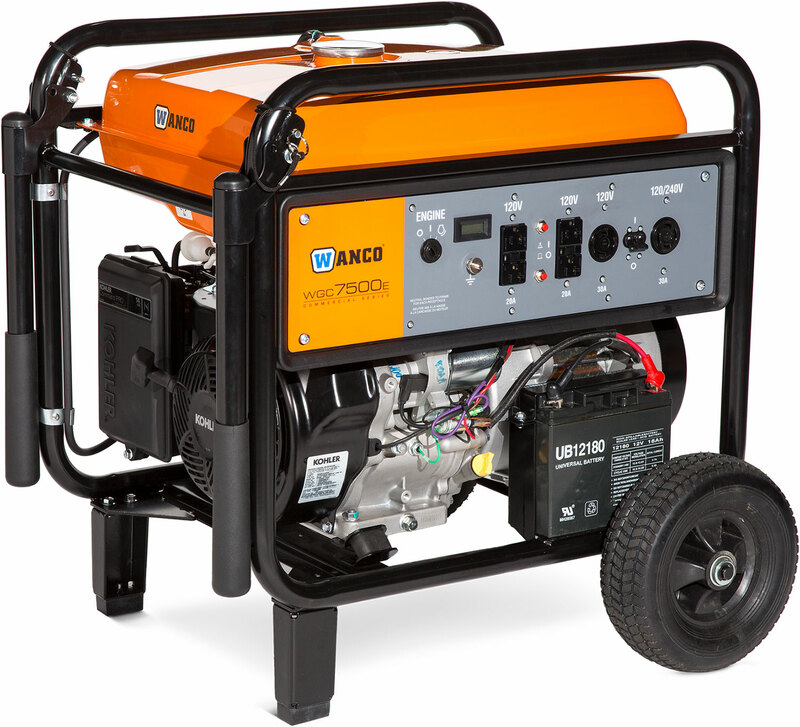 7500 Watt Gas Generator - Wanco Inc. The Wanco WGC7500E provides 7500 starting watts and 7000 running watts. Powered by a premium Kohler 14hp gasoline engine that meets EPA and CARB standards, this generator features electric starting and includes two 20-amp duplex GFCI receptacles, two 30-amp twist-lock receptacles, and a wheel kit with fold-down handles. Designed for jobsites and agricultural applications, this generator provides robust power.